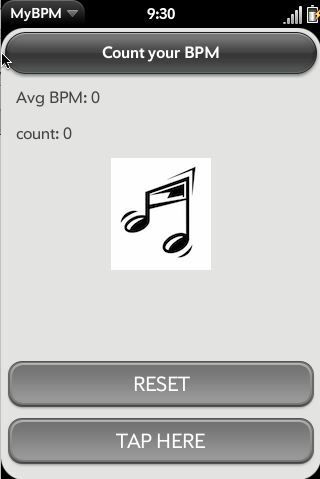 MyBPM is a simple beats per minute application which will figure out a songs BPM by tapping to the beat. The application also tries to figure out the BPM if you shake the phone to the beat. Currently the shake doesn't work well and may not display the bpm you trying to shake too. Make sure to use the button if you want an accurate count.